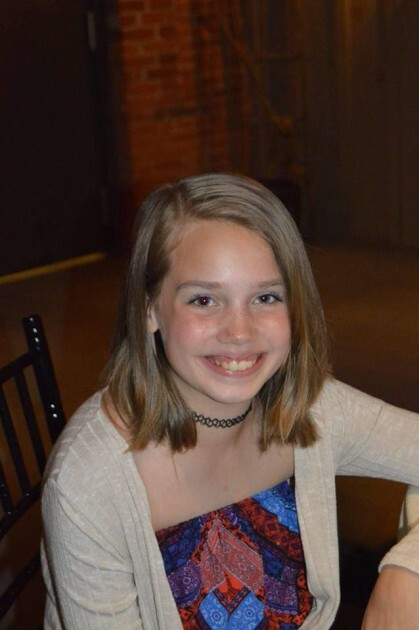 Meet Olivia, a dynamic and determined 13-year old who loves theater and softball. 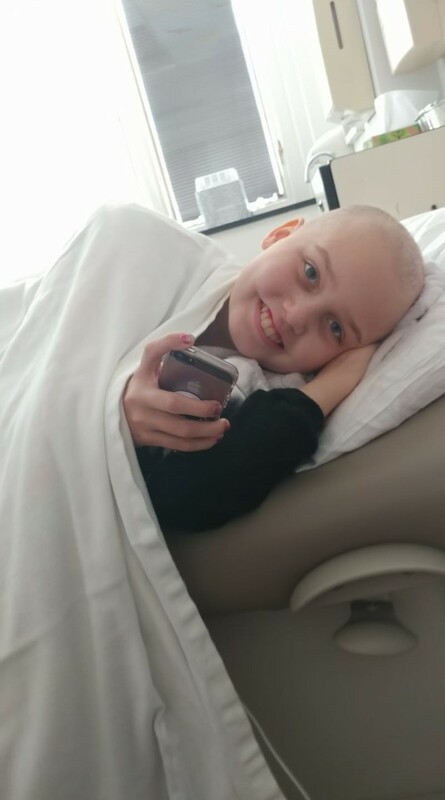 Olivia is a brave cancer warrior currently fighting acute lymphoblastic t-cell leukemia (ALL). In July 2017, Olivia volunteered at a photo booth in Camp Dost at the Ronald McDonald House camp. She got in the car after a long day, and told her mom that she thought it was cool and that she wished she had leukemia. Her mom, Krista, got upset with her telling her not to wish that upon herself. Olivia was diagosed with ALL on August 3, 2017. The doctor informed Olivia that it was not her fault, but merely her body foreshadowing what was really going on. After months of being sick and a routine doctors appointment on a Friday afternoon Olivia’s mom, Krista, knew something was wrong. They initially tested Olivia for mono and were told to call the doctor on Monday if things hadn’t improved. That weekend Olivia slept 12-16 hours per day and when she woke up, there were new bruises on her body. Krista was encouraged to take Olivia to the ER the following Thursday after blood work had been mixed up. The blood counts were concerning so the family headed to the closest emergency room which is without pediatric hematology and oncology doctors. “The ER did a great job at keeping us calm, however, I am a google doc and had narrowed down her symptoms and was aware of what was coming,” said Krista. At 3:30, the family arrived at Geisinger Medical Center after being told they’d have a bed ready for Olivia and rushing to pack a bag in a daze. By 7pm, they knew the diagnosis. Olivia was very sick when first diagnosed and for many months after she had no interest in hearing details about treatment or diagnosis. Her aggressive treatment plan consisted of chemotherapy and lumbar punctures coupled with methotrexate and radiation. “She was in tumor lysis at the time of diagnosis and the first 48 hours were extremely frightening. The tumor load around her lungs kept her struggling to breathe and her waste products caused an overload on her kidneys. They watched her for kidney failure,” remembers Krista. For treatment, Olivia was seen at Geisinger Medical Center in Danville, Pennsylvania. 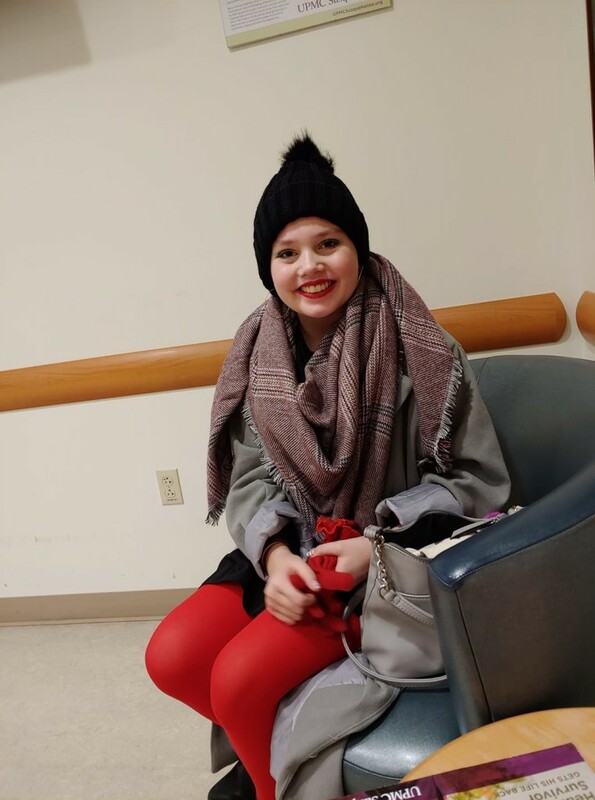 On March 27, 2018 Olivia was considered to be in remission! Olivia has endured problems with somnolence syndrome, transfusions, and lumbar punctures. She now has a mediport which will remain in Olivia’s chest until the end of treatment. She has been in and out of school because of the somnolence syndrome, but has kept up through homebound schooling. Currently, Olivia is in the maintenance phase of treatment with home chemo pills, a monthly clinic chemo, and quarterly lumbar punctures with methotrexate. Olivia has consistently beaten the odds through her cancer journey. She was initially supposed to stay in the hospital for three weeks but ended up getting out within 12 days. Talk about determination! She’s been able to participate in a 3K as well as act in two plays. Last fall, she was able to play softball, only missing a few games. In January, Olivia was able to return back to school and plans to star in an upcoming production of “Annie” as Kate.